Digital transformation is something that impacts every industry, but it is keenly felt in the automotive trade. This should come as little surprise when you consider the deeply entrenched manual processes and abundance of paperwork that have long been a part of this sector. Now, with a vastly different customer journey and the rising expectations from those who undertake it, automotive businesses have little choice but to embrace digital transformation. With that in mind, we’ve compiled five strategic priorities your car dealership will need to fully buy into in order to take advantage of the digital revolution. Car buying used to be rather stereotypical. A prospective customer would enter a dealership, seek guidance from a salesperson, take a test drive, negotiate the price, agree a finance deal and place an order. While that arguably still stands for many car purchases today, the rising popularity of virtual showrooms and consumer-driven research means car dealerships need the tools and online presence to capture potential buyers via numerous digital and traditional sales channels. In addition, customers should be able to switch between information sources and receive a consistent brand experience. 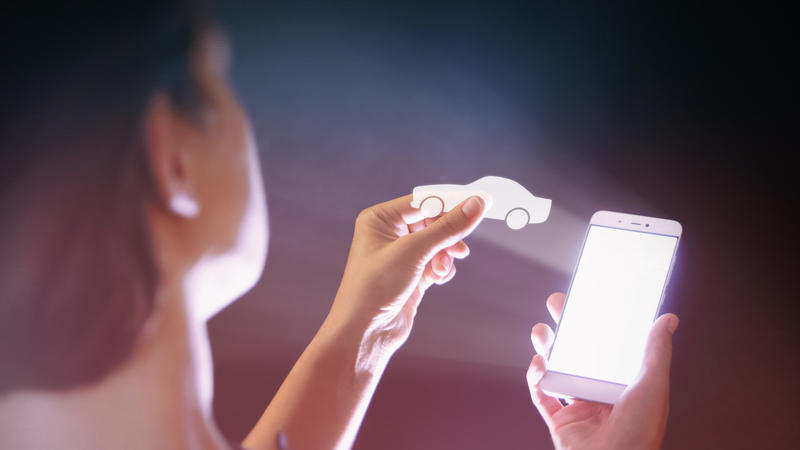 For you as an auto retailer, this means evolving to an omni-channel strategy and delivering a seamless digital experience at every level of the car buyer life cycle. Assisted driving technology is expected to save consumers upwards of $1trillion due to its ability to reduce accidents and lower insurance premiums. Autonomous driving is still in its infancy, and requires full government buy-in before it becomes the standard way of driving, but with new cars featuring autonomous technology constantly entering the market, dealerships need to ensure their staff are able to respond to increasing customer demand. Thankfully, there’s a wealth of online content that can help, such as tech trade news sites, but ensuring staff have access to press releases and marketing material from manufacturers is also vital. Digital transformation should help your car dealership drive down costs and make processes more efficient. This starts with the OEM. As manufacturers invest further in the connected supply chain, the methods by which cars are designed, built and delivered assist dealerships in providing vehicles that meet customer expectation and demand with precision. Smart factories with advanced AI and robots working alongside humans are transforming the supply chain, and the customer experience. Predictive maintenance is just one technology that is making car ownership far more satisfying, but the ability for vehicles to alert owners and dealerships when they need a service is just the start. Once again, customer expectation is driving the digital transformation of car dealership service departments. Those who fail to embrace technology that enables guaranteed fix times and costs will struggle to compete. Dealerships can lean on advanced car maintenance technology and dealership management systems that connect the service and sales teams to provide an aftercare package that drives customer loyalty. Digital transformation will enable your dealership to remain relevant in an increasingly competitive and diverse industry. This is why mobility should lie at the heart of your value proposition, with a focus on enabling customers to tailor their experience. In doing so, you’ll shift focus from buying a vehicle to experiencing your brand – and that will establish a strong bond between your business and the customer. raise your game in the aftersales market by meeting new regulatory requirements that provide customers with multiple service and repair options. Digital transformation poses challenges to every industry, but the benefits on offer for automotive businesses simply can’t be ignored. The above list is certainly non-exhaustive, but it represents the most important changes car dealerships should embrace – today.